Some of my fondest memories contain elements of freedom, companionship and adventure: driving on lonely roads in CA, NV, and UT, wandering and philosophizing in the German countryside until dawn with fellow YfU students, exploring the tunnels or sneaking up to rooftops at Caltech. 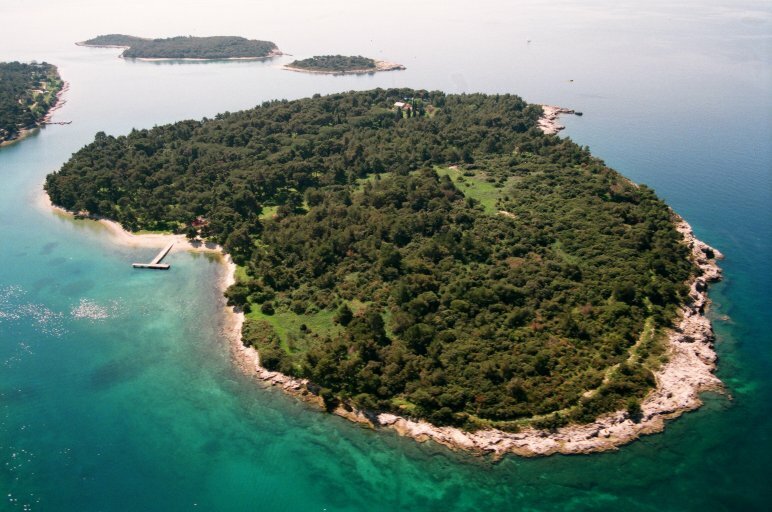 The fondest such memory, perhaps because I experienced it so early (in the summer between 6th and 7th grade), is that of a scouting trip to the island of Veruda in the Adriatic sea, close to the city of Pula. Our shop teacher arranged for us to go. 4 classmates and I (were there more?) joined some other kids in a trip to a scout campground on Veruda island, though we were not scouts. As it turned out, several of the adults who were to accompany us were not able to, leaving too few to watch us closely. As a result, we had the run of the place. Some of the memories seem too fantastic to be true. For example, I remember that a bunch of us kids swam a loop to two neighboring islands. But looking at this aerial photograph, that actually seems entirely plausible. Unlike real scouts (such a troupe joined us half way through), for the most part we did not have regimented activities. But in scout tradition, we did have night watch shifts. My friend M and I volunteered for the 1-3am shift, on the days that two boys, R and ? volunteered for the 3-5am. R had a boom box and a tape of U2’s Joshua Tree. We listened to it at night by the campfire, we listened to it in the small A frame tent M and I shared. During one of our late-night watch shifts the 4 of us decided to go for a swim. It was a full moon. The sea was filled with bioluminescent plankton that lit up around us as we swam through it. It is the most fantastic memory. The following summer I was enrolled at a summer camp in upstate New York. Every minute of every day was planned and every action monitored. At some points we were allowed to swim in a mucky lake, but only in a small, roped-off section where the water was at most knee deep. I thought back to Veruda, and how we’d run around the island until we found a rocky spot where we’d dive into the clear deep sea. About a week into summer camp in NY, a tornado hit and leveled several buildings, releasing us, unharmed, from prison early.